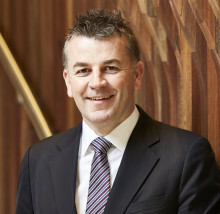 Associate Professor Declan Murphy is Consultant Urologist and Director of Genitourinary (GU) Oncology at Peter MacCallum Cancer Centre and Honorary Clinical Associate Professor at the University of Melbourne. He is an internationally-recognised key opinion leader in GU Oncology; prostate cancer in particular. Declan has published hundreds of papers and been Chief Investigator on grants worth many millions of dollars. He holds senior editorial positions at the British Journal of Urology International, European Urology, Nature Reviews Urology, and Prostate Cancer & Prostatic Diseases, and is on the board of reviewers for many other journals.